Get Your Free Financial Makeover! 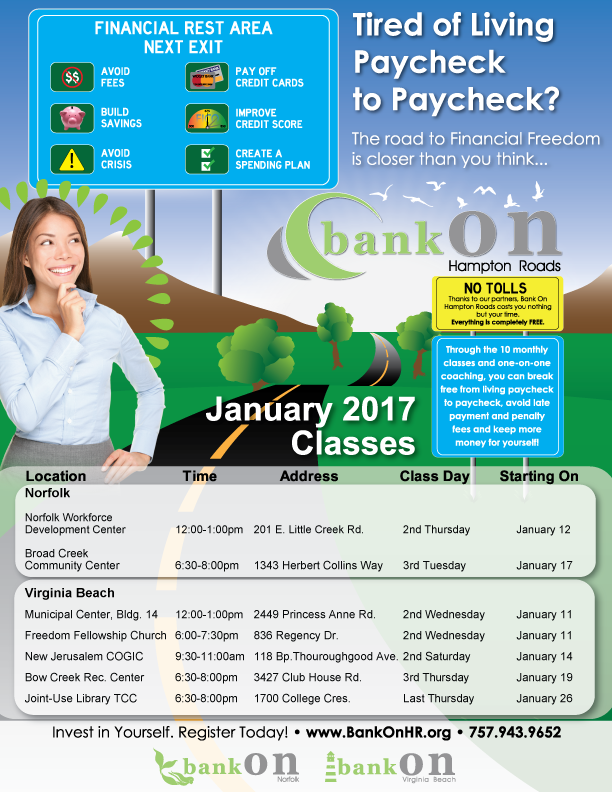 Bank On Hampton Roads can help you build a fresh financial start month by month. Just attend one class per month and meet with your financial coach as you build your plan to reach your financial goals. Raise your credit score at the same time you grow your savings! All free! Sign up today!